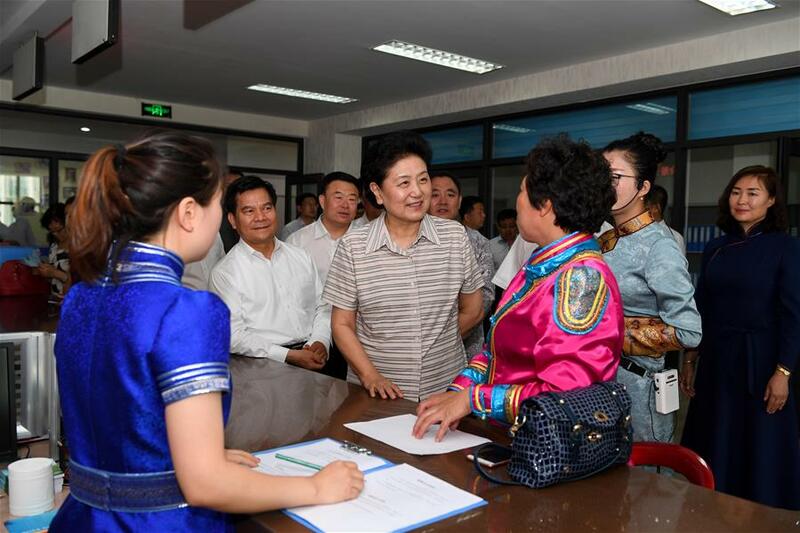 HOHHOT, June 25 -- Chinese Vice Premier Liu Yandong Sunday called for more efforts to promote solidarity and progress among various ethnic groups in China. Authorities should greatly improve the education, healthcare and employment for the ethnic minorities and give them equal access to basic public services, Liu said at a conference on ethnic solidarity in Hohhot, capital city of north China's Inner Mongolia Autonomous Region. They should promote the communication among and integration of ethnic groups, creating a social environment where ethnic people live, study, work and share joy together, according to Liu. Local governments should handle ethnic affairs according to law, and safeguard ethnic solidarity and harmony by laws and the Constitution, She said. During an inspection in the region, Liu also asked ethnic groups to respect and communicate with each other, making joint efforts to safeguard ethnic solidarity and social stability. The Inner Mongolia Autonomous Region was founded 70 years ago as China's first minority autonomous region under the leadership of the Communist Party of China.